The full-size Echo has good sound, but is not battery operated and is expensive at about $180. The small Echo Dot is about the size of a hockey puck, and has an inferior speaker, which is fine for voice but not music, and comes at a much lower price at under $50. In between those models, there is the Tap, which adds battery capability, but removes the "always on" feature. You have to tap the Alexa button to ask a question. Recently, Amazon added a higher-end model that adds a camera. In short, there's no perfect Echo device with both always-on and battery capabilities. That's where the Vaux ($49.99) from Ninety 7 comes in. The Echo Dot sits snuggly in the top of the Vaux, and plugs in via the integrated audio jack and microUSB power cable. It's a clean look that you would think Amazon had in mind when they made the Echo Dot. The Vaux doesn't include a power cable of its own, as you are expected to use the one that shipped with your Dot. This is fine as I always end up with extra microUSB cables anyway. 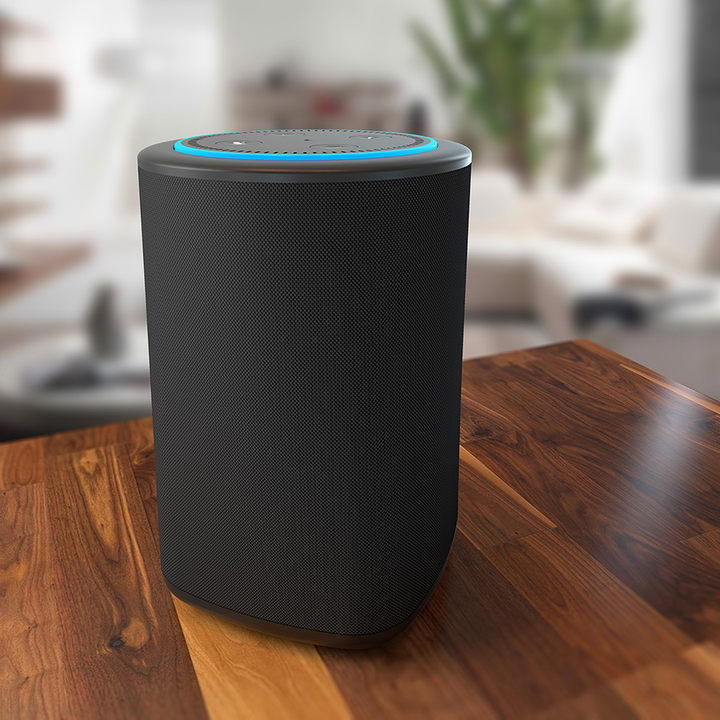 The Vaux offers great sound, comparable to the high-end Amazon Echo. But the big benefit is the battery capability. I love that I can just take my Echo Dot plus Vaux anywhere and continue to use the Alexa feature, as long as I stay in Wi-Fi range. I can use the Vaux on the patio, and leverage Amazon Music with the improved speaker. If you are looking for an accessory, look no further. The Vaux from Ninety 7 should meet your needs.